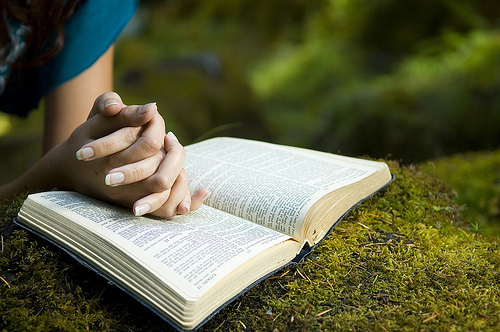 Should all prayers be improvisational? What is the role (and relevance) of classical prayers, written and recited, in the lives of Christians today? 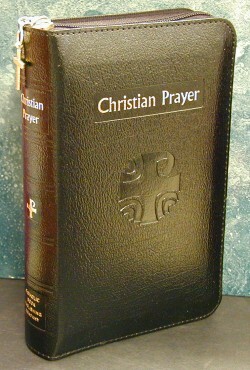 The Book of Common Prayer is the Protestant version of the Catholics‘ Liturgy of the Hours2. These books are literally day-by-day prayer guides for individuals and congregations that organize the prayers of the Body of Christ, five times each day, 365 days each year. They follow the liturgical calendar, and even organize the reading of the entire Bible into a three-year cycle. When Christians follow these books, they do so with other believers around the world praying that same day’s prayers – reading that same day’s assigned Scriptures. They also join the millions of Christians who went before and who prayed those same prayers and read those same Scriptures on those same days in the past! Here, Galli is referring to the Body of Christ, all praying the same guided prayers out of the same book on the same day. Even if you involve these classical prayers in your time alone with God, you are not isolated from the larger Body of Christ, which is at that moment lifting up the same prayers to God along with you! I suppose on a contemporary scale, this would be like all the people who read today’s entry in My Upmost for His Highest4 or Jesus Calling5. Even though each person may have read it separately, their spirits were joined together with the spirits of all the others around the world who read, thought about, and prayed about that same entry today. There have been times where, as a church or as a small group, we were all joining together for a daily reading from the same book. As such, you knew that you were having a shared experience with other brothers and sisters in Christ. In these instances, the only way to feel alone is to be the person who didn’t join in. For those times when we react against the concept of written prayers (I certainly have before, myself!) – thinking that in order for our prayers to be ‘real’ and to ‘come from the heart’, they must be improvisational – it is important to remember that the Bible is riddled with written prayers that we recite all the time! From Moses’ prayer of praise in Exodus, to the prayers of David in 1-2 Samuel, to the many recorded and oft-recited prayers in the Psalms, all the way to the prayers of Jesus and His disciples recorded throughout the New Testament. Have you ever shared a song with someone, because the lyrics articulated your feelings even better than your own words could have? The same applies to the classical prayers that Christians have been praying for millennia. Sometimes I find that what they prayed is exactly what I wanted to pray… only I couldn’t pinpoint the right words. They said it even better than I could! And now I get to share my heart with God, borrowing on their words, and sharing them with millions around the world offering the same words to God at the same time! I greatly value our ability to get to join in with the prayers that the Church has been lifting up to heaven for centuries – to get to share in the wealth of spiritual history and investments made by generations of faithful believers before me. We stand on their shoulders as we recite their prayers, from our hearts, to God. 1 The Book of Common Prayer (Oxford University Press, 2007). 1 The Book of Common Prayer (Oxford University Press, 2007). 2 Liturgy of the Hours (Catholic Book Publishing Co, 1986). 3 Mark Galli, Beyond Smells and Bells: The Wonder and Power of Christian Liturgy (Paraclete, 2008), 37. 4 Oswald Chambers, My Upmost for His Highest (Barbour Publishing, Inc., 1963). 5 Sarah Young, Jesus Calling: Enjoying Peace in His Presence (Thomas Nelson, 2004).